Katia Moritz, Ph.D., ABPP is a psychologist in the States of Florida and Utah, and is Board Certified in Cognitive and Behavioral Psychology. She is the co-founder and Clinical Director of the NeuroBehavioral Institute and has dedicated her life to treating severe and debilitating anxiety disorders in children and adults. In August of 2010 Dr. Moritz underwent a routine endoscopy and woke up with an unknown syndrome. After seeing doctors all over the country at various facilities, she is still undiagnosed. In her search for help she encountered a world of patients and families that were struggling with all of the same issues. The glaring need to foster awareness has inspired her to do something to initiate change. She created the feature length documentary Undiagnosed: Medical Refugees based on the stories of these patients, their doctors and the medical system that is failing to service them. 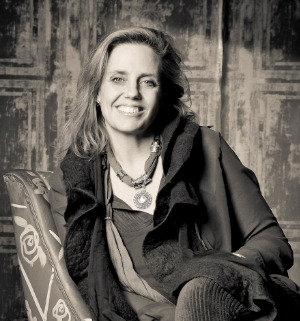 Geralyn Dreyfous is the co-founder of Impact Partners and has a wide background in the arts, long experience in consulting in the philanthropic sector, and is active on many boards and initiatives. She worked at the Philanthropic Initiative in Boston, which guides families of wealth in strategic giving opportunities and also taught Documentary and Narrative Writing with Dr. Robert Coles at Harvard University. Geralyn is also the Founder/ Board Chair of the Utah Film Center and a charter member of the Utah Coalition for Film and Media. Geralyn’s executive producing and producing cred- its include the Academy Award winning Born Into Brothels; Emmy nominated The Day My God Died; and multiple lm festival winners such as Kick Like a Girl, In A Dream, Dhamma Brothers, Project Kashmir, Miss Representation, Connected and The Invisible War. Nicholas and Crystal are a husband/wife team that own Crowbait Pictures, a boutique production company based in Park City, Utah and Vancouver, Canada. Since 2008 Crowbait Pictures has specialized in developing productions in formats ranging from short films, web series and music videos, to television pilots and feature films. Crowbait Pictures has rendered services for a tremendous number of Vancouver feature films and commercials, and has a particular passion for human-interest documentaries. After learning about the undiagnosed population and the need for action, Nicholas and Crystal immediately got behind the idea of a documentary film. Together with Dr. Moritz and Dr. Hoffman, they have grown this project from a seed to the thriving movement that it is today. Jonathan Hoffman, Ph.D., ABPP is a Clinical Director and Co-Founder of the NeuroBehavioral Institute. He is board certified in Cognitive and Behavioral Psychology and is a licensed psychologist in Florida, New York, and Utah. His practice emphasizes helping people cope with psychological and life challenges, especially regarding anxiety and neurobiological conditions. His passion for contributing his creative and professional energy to this project is based upon years of experience assisting his patients to receive the proper diagnosis and treatment, and desire to support his longtime friend and colleague in her own challenging medical situation and efforts to bring needed attention to the plight of the undiagnosed.